Dusk on the edge of Habarana Lake, Sri Lanka. 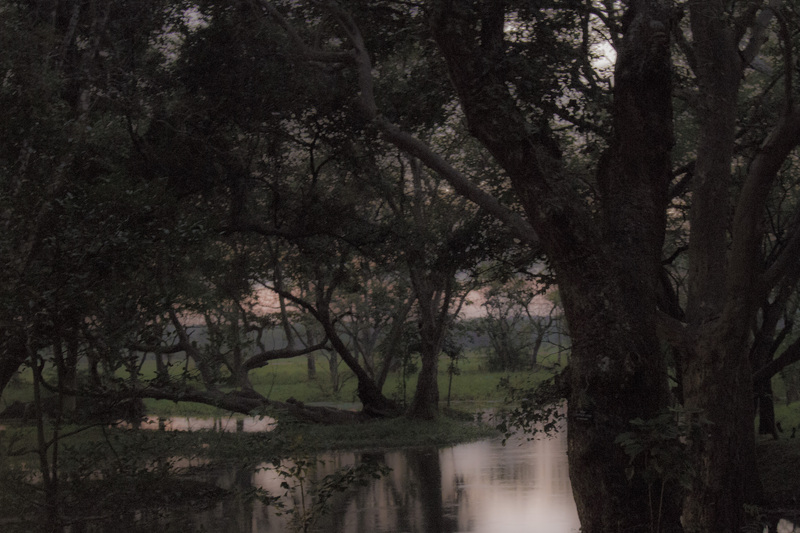 Dusk on the edge of Habarana Lake, Sri Lanka. Even with a bit of help from Photoshop the image was fuzzy so I added a bit more and love the soft moody effect. While not a good time of day to be shooting without a tripod (I didn’t have one until this week) the results can be pleasant to the eye with a bit of effort. I actually really love it this way. It’s so moody and quiet. I love the pastel purples, blues and greens against the dark silhouetted trees. Thank you for sharing. Thank you both. I do love it. I was going to erase the original file and then decided to play around with it because I liked the atmosphere.